The first feature documentary from Writer-Director Pascui Rivas, Ordinary Gods was meant to be a prestige piece. 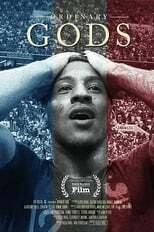 Along that line, his film does not show six young players as powerful future gods of football, nor as soccer royalty who will wow us with talent. Instead, Rivas lets us into their lives to reveal their human frustrations and fragility. It’s rare when a director’s first feature film is so thoroughly engaging, especially with a story that, in an elevator pitch, must have seemed so small. 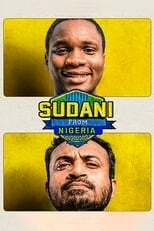 But the many close-ups and the actors’ pure performances magnify this story about humanity and bring Sudani from Nigeria home to your heart. The title Yeşil Kirmizi refers to green and red, the colors of Amedspor, a Kurdish team that in 2016 played in the third division of Turkish football. To Americans, that sentence sounds harmless, but in Turkey, four of those words could be inflammatory. To strongman Erdogan’s Turkish government, professing Kurdish ethnic identity is tantamount to treason and the support of terrorism. Directors and brothers Christopher and Alex Browne filmed After the Cup: Sons of Sakhnin United during the 2004-05 season. Almost 15 years have passed since the events were recorded, but judging from more recent soccer movies such as Forever Pure, life has changed very little for Arabs in Israel. Israeli Arabs (Palestinians) remain second-class citizens, and Arabic players are still subjected to hostilities from fanatic Jews, such as the fans of Beitar Jerusalem. 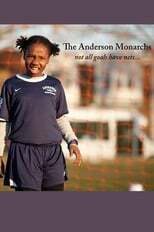 Soccer decision makers, fans, and parents who don’t understand how our sport works in America should watch The Anderson Monarchs. Writer-Director Eugene Martin captures, in a decidedly upbeat way, the commitment required to sustain a unique, inner city, all-African-American, girls soccer team in Philadelphia. Shoot languished in my Amazon Prime watchlist because I assumed it was just another foreign film. So I was quite surprised when I started watching it, and almost the first words on the screen were “The first Saudi-American film”. 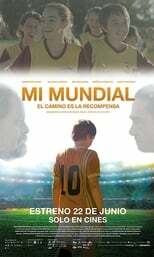 Mi Mundial is a charming Cinderella-like football tale, except this Cinderella returns to the ashes of his old life. This futbol pelicula is based on the 2010 children’s book of the same name, by former Uruguayan futbolista Daniel Baldi. A prolific author of mostly juvenile books mostly about football, Baldi uses much of his life in his stories, and he made sure that the film stayed true to its origin and message.